“Would you be available to help with a short webinar on blended learning?” asked a local district technology director. In the webinar, I explored the gap between expectation and reality. Our goal was to resolve critical roadblocks to blended learning implementation. In this blog entry, I’ll share some of the roadblocks and detours around them. 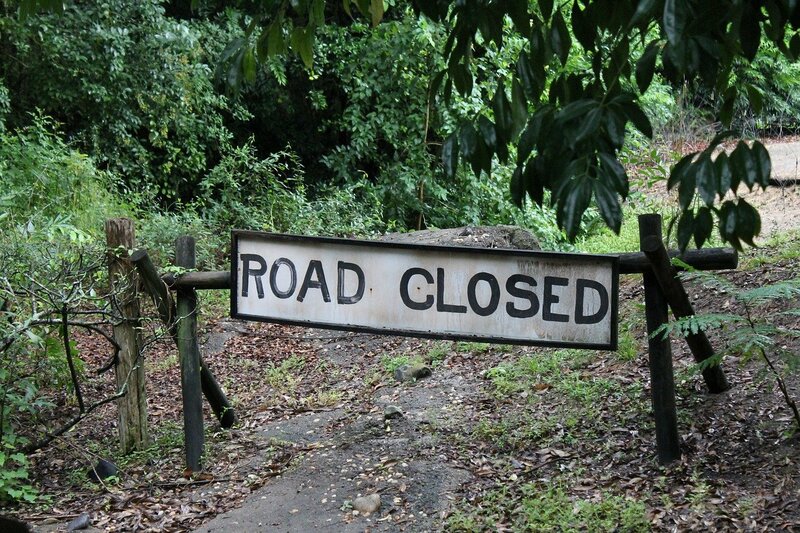 As you review that list of roadblocks, what detours come to mind? “We need an educational system that encourages self-direction,” shares Ken Kay. Ken is the CEO of EdLeader21. How do we do this given all the new tools available? One detour I offer is to use project creation stations. Detour #1? Project creation stations. These stations have a simple purpose. The purpose is to introduce learners to content creation and curation tools. They make this happen via a variety of mini-lessons. These mini-lessons follow a formula. May I share it with you? Present a real-life problem through a work of creative non-fiction. You can do this with a video, audio, or textual narrative. Stories that present a problem are best. From the problem, a task of appears. This is a task that becomes obvious as learners read the problem. Share relevant background knowledge or information. Include digital (or physical, as appropriate) tools that learners will use to create. Don’t be afraid to craft activities that focus on knowledge building. One example could be student-authored ebooks, videos, websites, presentations, hyperdocs. Explore more PBL and 5E Model Enhanced Lessons. Did you know that the average attention span of a Generation Z learner is about 8 seconds? Information expressed in long, flowing text passages is, well, less effective. This raises the question, what works better? Detour #2? Create munchable learning opportunities. These are short, “munchable,” modules. This “snackable learning” is bite-sized and intended for quick consumption. It can include images, infographics, short videos, memes, and quotes. Assign activities that provide choice and that are device neutral. “Break your own mold. It can make you stronger, more confident,” says Dr. Elizabeth Lombardo. What’s more, she says that it will enable you to “reach higher levels in your life.” How do you make that happen? Follow Thomas Oppong’s suggestion. From personal experience, I know how hard this can be. Every time I know I am seeking out discomfort, something comes along that kicks me in the teeth. Then, I realize that I wasn’t pushing hard enough. I find I am not creating new perspectives, acquiring new skills, and pushing my boundaries. Detour #3? Build your professional learning network and a community of co-learners. If you already have an active PLN, then start your own webcast using a free tool like Zoom.us, Appear.in, or Facebook Live. Start a district twitter chat. Each approach can assist you in getting access to new information. If writing a blog seems insurmountable, begin one. If interviewing instructional leaders in your district is frightening, do it. What have you to lose? The opportunity to grow is like a kite rising against the wind. G Suites Learning Center: This website provides access to various facets of Google Suites for Education. Definitely explore it to develop your learning. YouTube: Many millennials and Gen Z’ers grow up learning and doing on their own. How? They watch YouTube. Search online. Find a topic and learn (e.g. take notes, make a mneumonic song, wrestle with ideas). Apply what you watch. Finding detours around roadblocks is easy. Look for the signs. To grow and become more than you are, make your own detours.